CHILLSPOT Recordz is better known as a Zimdancehall stable that uplifts ghetto youths, it gives underground, up and coming future stars a platform to showcase their talent. 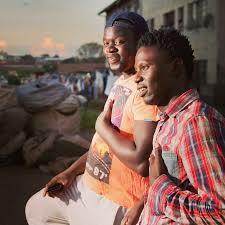 The stable has housed a lot of Zimdancehall stars who are now big in the industry, the likes of Killer T, Soul Jah love and Seh Calahs. Most underground Zimdancehall artist are groomed and housed by ChillSpot when breaking into the music scene however they tend to later have stints with the sable which results in them leaving the label. This then leaves a lot to be desired. Who is the problem? Is it the stable or the artists? Blot wants the sabotage to end so that people can make a choice on who is currently the best young Zimdancehall player. “I want the dissing to stop so people can judge who the best is in Zimdancehall new generation.” he said. Asked to comment about any fallouts with Blot, Chillspot said they do not have any issues with Blot. “Blot decided he is no longer interested in working with Chillspot, we do not have any issues with him. There are several artists who have left Chillspot, the likes of Killer T, Soul Jah love, so why should we have issues with him?” said the founders of Chillspot, Fantan and Levels.